We venture into December and Christmas is getting closer. Around this time in Sweden the sun barely even shows during the day and darkness consumes everything. 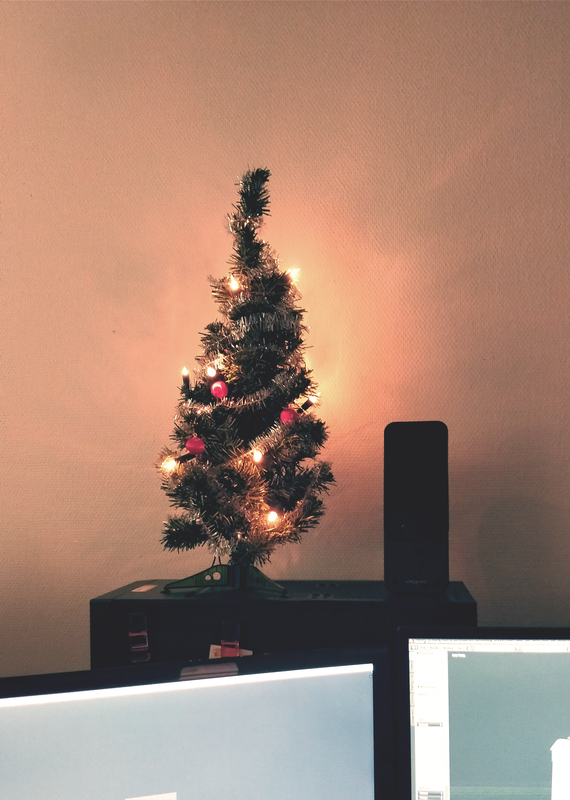 In order to combat the loss of sunlight and get the office ready for these jolly times we installed a quite magnificent Christmas tree. According to our studies, its bright lights has increased our jolly levels by roughly 17 percent already. Very good purchase. But enough office talk! Lets get into what’s been going on with Raft! 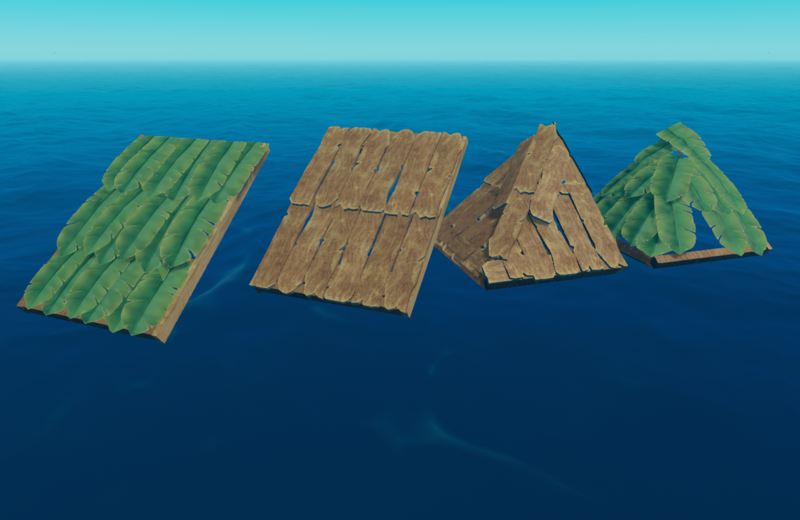 Since many of you seemed to like the building aspect of Raft, we want to give you more options when constructing your home. Recently we’ve created a bunch of new parts to give you more freedom in your architectural adventures. Among the new pieces you’ll find roofing in different shapes and designs, raised floors, half pillars and shorter, smaller stairs. 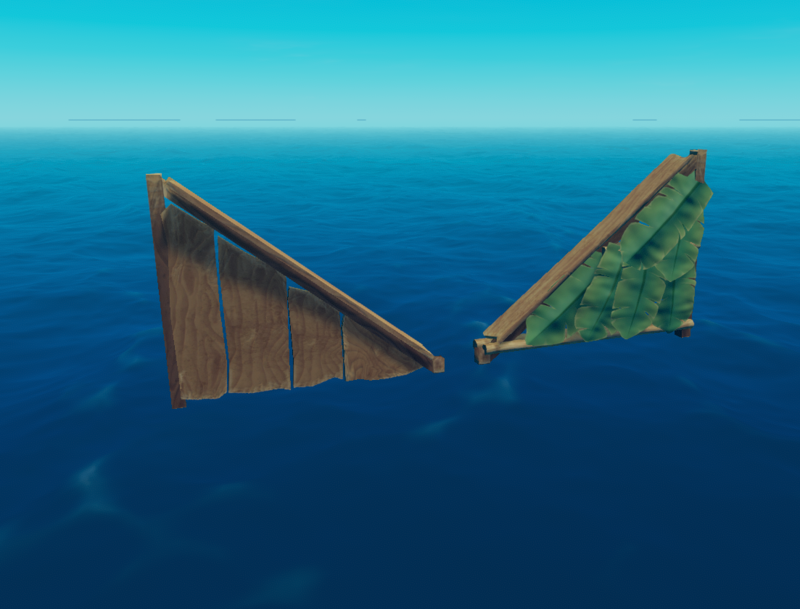 We hope these new parts take you closer to the raft mansion of your dreams! Raised floor and half stair. 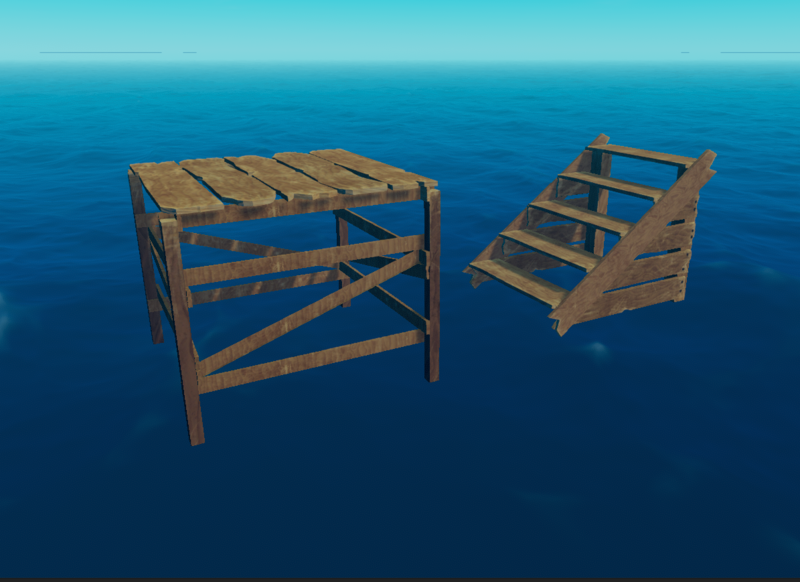 When floating on the ocean and you run across an island or a reef sticking up through the water, you might bump into it and get your raft all turned around. In case this happens, knowing which way is forward might be difficult. That’s what happened to us at least. You can look to the items floating by in the water to know which way you’re going but we felt a good raft requires a more sophisticated approach. So we made a streamer. 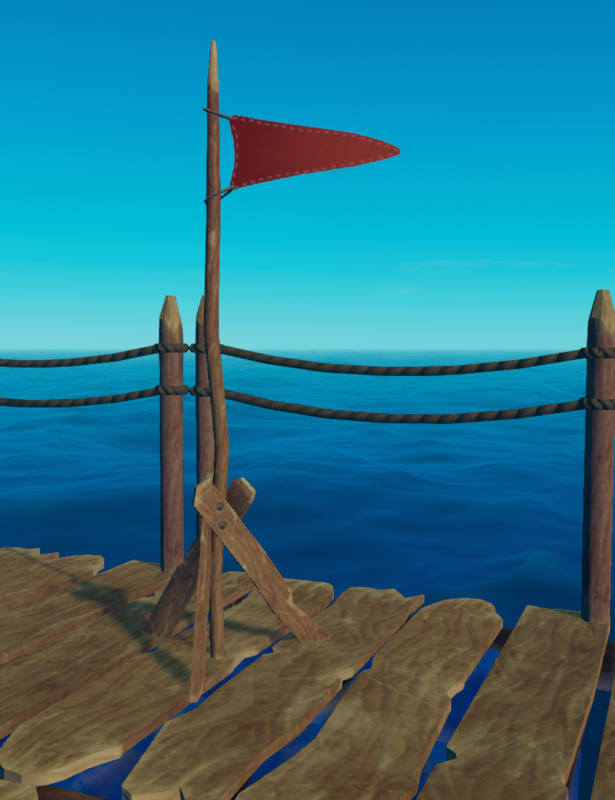 This little thing always shows you which way the wind is blowing and which way you’re drifting. As a survivalist you have to be inventive and find ways to use things in ways they might not be meant to be used. 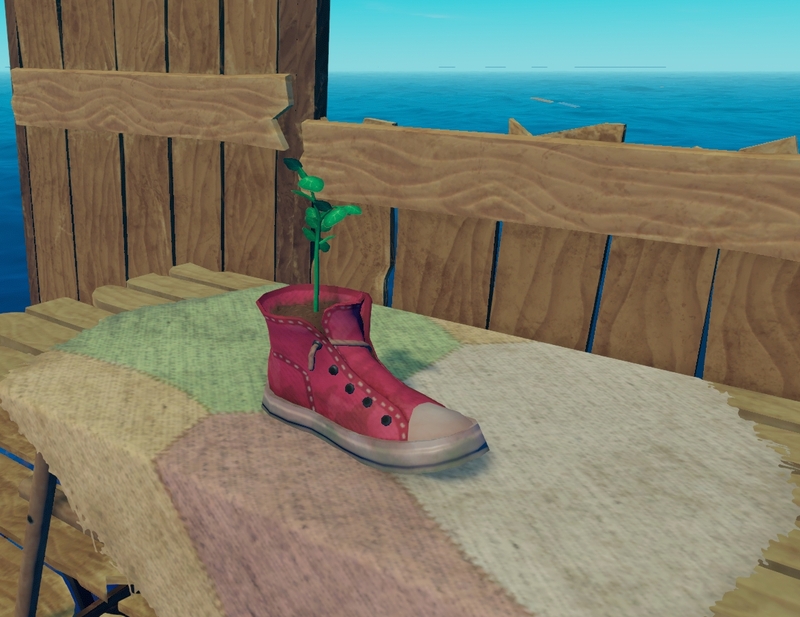 For example, if you find an old shoe, why not put a plant in it? The old storage is quite big and expensive to build. 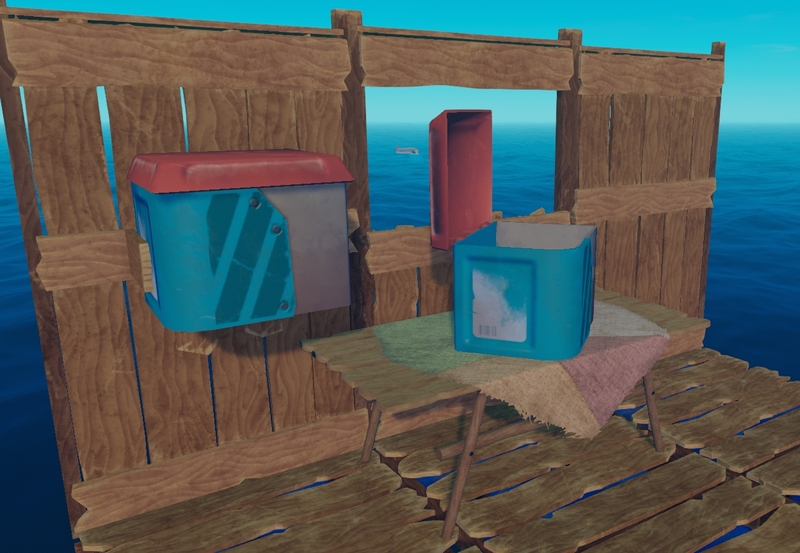 A new survivor might not have the resources to build such a fine chest, but still needs somewhere to put their valuable stuff? A simple plastic crate might not hold as much, but it’s much easier to build and works quite well in a pinch! That’s what we have for today! As always, we hope you have good weekend look forward to talking to again soon! Cool! Love seeing the new screenshots. This looks awesome! I’d be willing to play it anytime. I don’t care when it’s released, but how much do you think it will cost? I have 35$ US in my steam wallet right now. Also you should be able to fish up boots and goggles. any info on possible alpha or beta keys to try when ready? 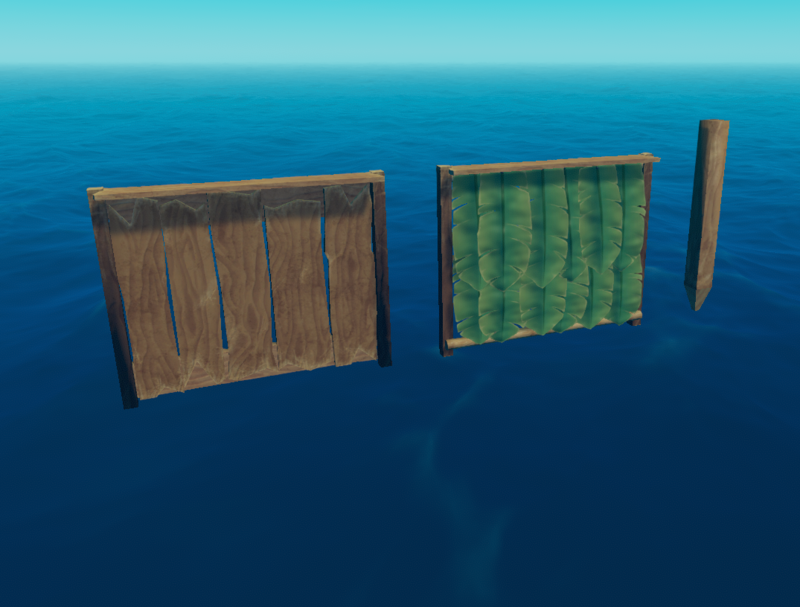 Please make carpets! That would be quite cool. please let it be free…i dont have money in my steam wallet.. Sorry, it’s not free! At least I highly doubt it. But it should cost 20$ US at most. I would even pay 25€ for this game but when do you think it will be published in 2018? There is a free downloadable version that isn’t that good, but no I don’t think this will be free. What do you mean by that? Like because it’s taking so long?